After winning the Croatian Championship title, Olimpija won another one – the Interleague Championship title. It was two teams from Slovakia – Apollo Bratislava and White Angels Trnava, and two teams from Croatia – Nada Split and Olimpija Karlovac, that made it to the Final tournament in Karlovac. After the semifinal games, it came down to Nada and Olimpija. In the final game, Olimpija took the lead 5:1. In the seventh inning, Nada’s Ivan Račić hit the grand slam to even the score 5:5. 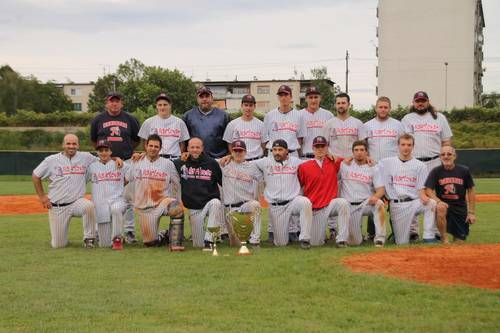 Olimpija answered with Branko Nenadić’s game winning home run in the 9th and took the second title this year.